Recently, Kelley and I just decided to play with our food. Kelley put together a cheese and charcuterie spread, and I helped/watched/ate the crumbs/photographed, and then devoured the whole thing. Playing with your food is highly recommended. 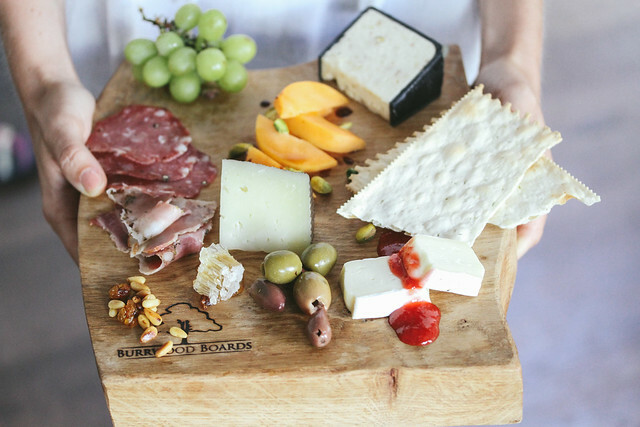 Why a cheese and charcuterie board? 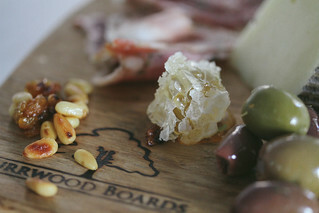 This is totally irrelevant to the food itself, but I love wood boards. They set the mood and tell a story in and of themselves. 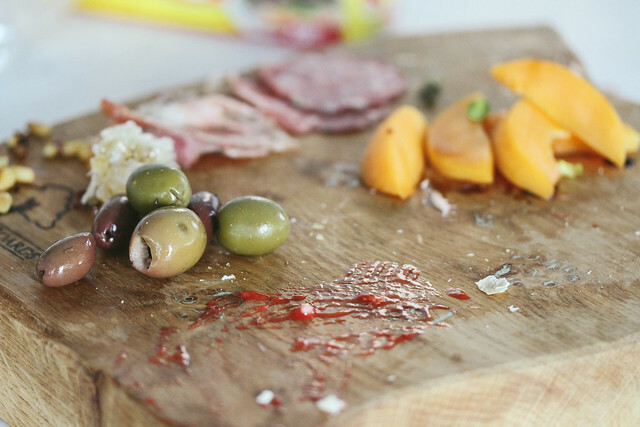 Whether its a wood slab butchering block or thin paddle display board, these simple display pieces are memorable. And this style of starter is the perfect opportunity to slow the evening down and put people at ease toconverse and nibble at the array of goods you have displayed. 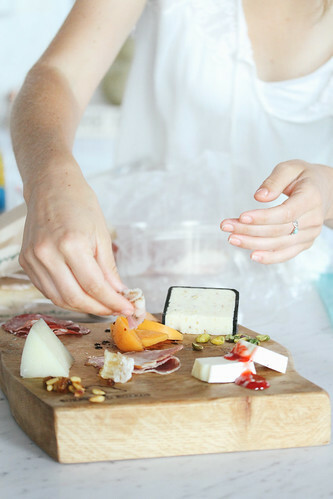 The assortment of goods displayed gives your guests their own creative moment where they can play chef making their own creations...maybe its brie wrapped in prosciutto dribbled with jam or a mouthful of pear, Marcona almonds, and Manchego. This way everyone can have their own moment of culinary creativity. 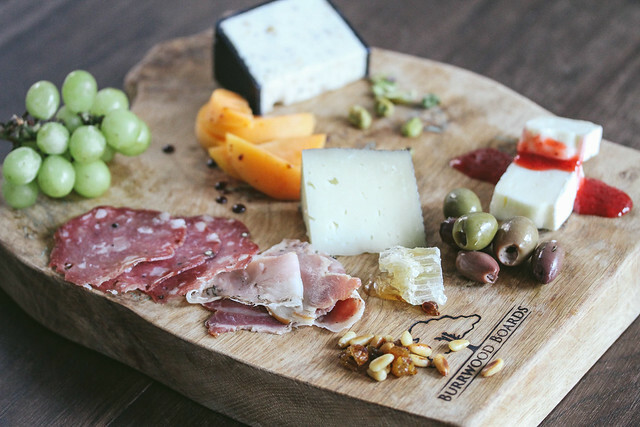 Can you make a "bad" cheese board? Yes and No. 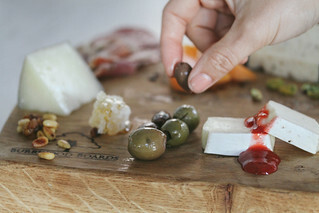 I think its wonderful when people include odds and ends on their cheese board to create new pairings. 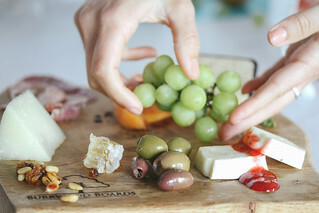 This makes it difficult to create a "bad" cheese board per se, but a "bad board" is definitely possible if the quality of the individual ingredients is not there. Do you have a favorite flavor combination? 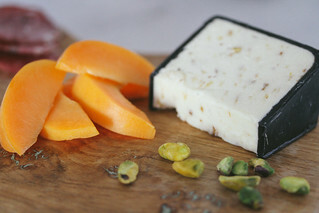 Sweet + Salty + Crunchy, so maybe a slice of Pear with honey and stilton or prosciutto, olives, with a slice of ripe apricot. What do you think of a dessert board? Genius, I will work on this.